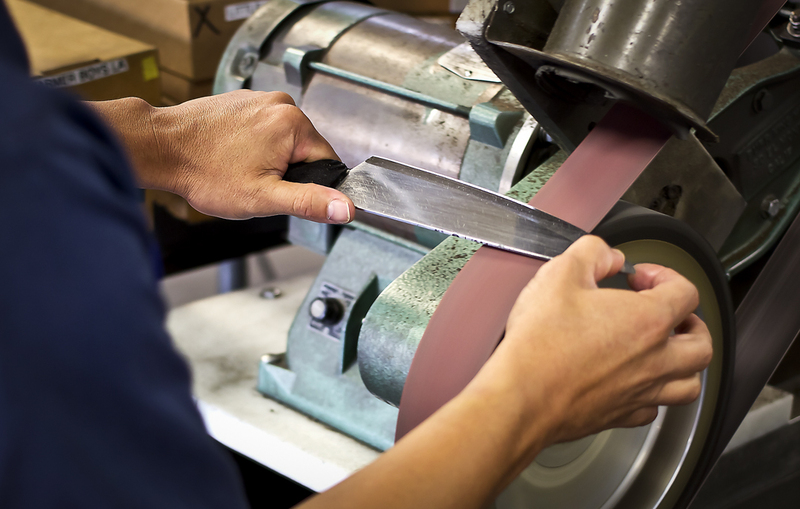 Professional knife sharpening service allowing restaurant, grocery, food manufacturing, schools, and hospital clients to receive regular deliveries of professionally-sharpened cutlery and blades of their choice. 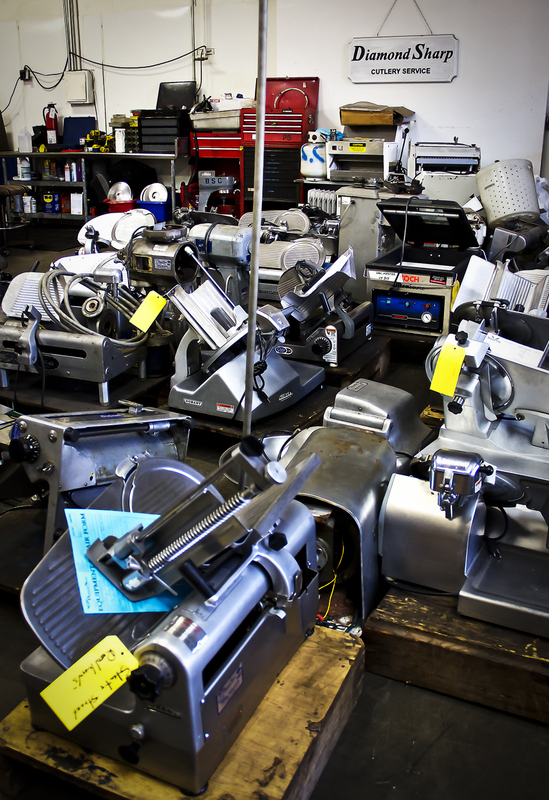 Walk-in, Mail-order, and Drop-off sharpening service for culinary professionals, meat cutters, home chefs, and hobbyists. We sharpen all types and manufacturers of fine cutlery and food equipment blades. Parts and Supplies Replacement parts, blades, and food equipment salesalong with safety, sharpening, and sanitizing supplies. Blade-containing and food processing equipment repair and maintenance services provided via walk-in, on call, and mail in. 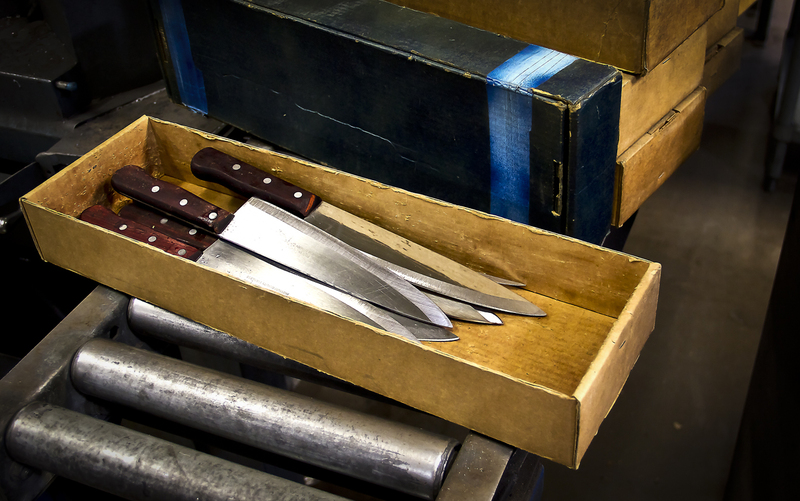 Diamond Sharp Services was started in 1987 to provide expert cutlery sharpening to food-service professionals in California. Since that time we have grown to become a full service sharpening, service, and sales company focused on cutlery and blade- containing equipment for professionals and home chefs throughout the U.S. and Canada. Read more about what sets Diamond Sharp apart from the rest! Berkel Meat Slicer Replacement Blade CAS SWI Series portion control scales. COmpact in design and easy to use portion control. Battery operated with Auto Power Off. Large easy to read 1 inch LCD display. Lb/g/kg/oz switchable. Optional rear display. Whiting + Davis Stainless Steel Mesh Safety Glove. Snap Clasp and Ambidextrous. These vinyl, industrial grade, powder free gloves contain no latex proteins. Made from clear vinyl (PVC). Great for food service. 100 gloves per box, 10 boxes per case. 4 sizes (S-XL). Watch a video to learn the art of sous vide! Diamond Sharp sells, services and supplies Minipack equipment and parts. Click on the picture to watch the video! Get Diamond Sharp updates, promos, & more!